In extended touring it shows what it's made for. 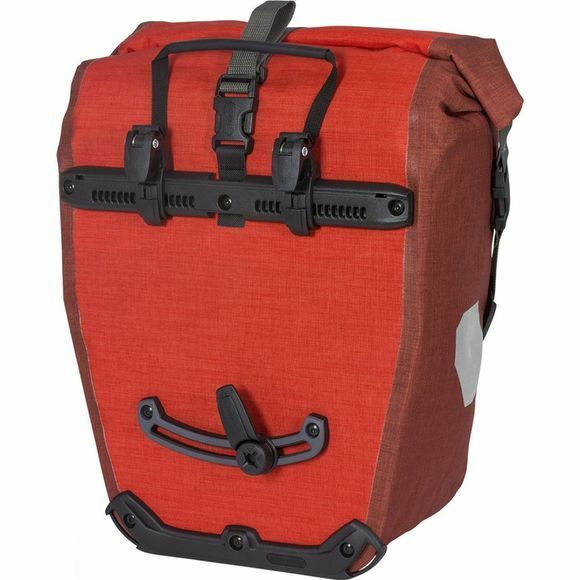 The tough rear pannier made of tear-resistant Cordura fabric is waterproof thanks to its handy roll closure. With its QL2.1 fixing it is quickly mounted and taken off the bike rack. And once you arrive at your destination, you can carry the Back-Roller Plus just like a shoulder bag thanks to the included strap. Ortlieb's QL2.1 mounting system uses hooks to attach the pannier to your bike rack without the need for any tools. 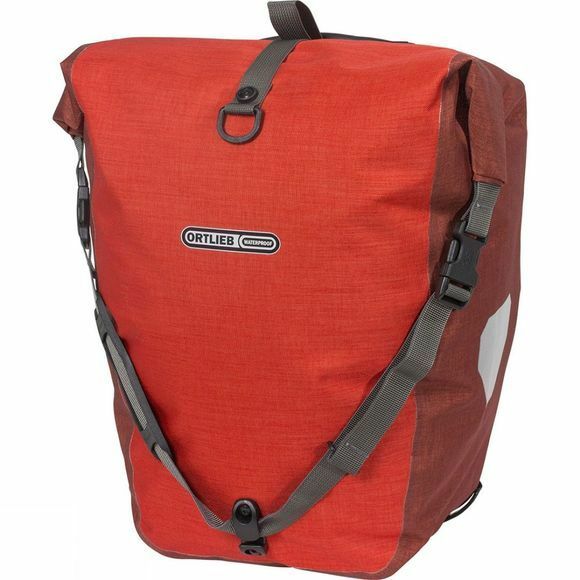 This means the panniers can be easily switched from one bike to another. Inserts can be used which allows the hooks to attach to racks of 8, 10, 12 or 16 millimetres in diameter.